Domestic chickens are not a species commonly featured in articles about wild animals and zoos, but they now outweigh the combined global population of African and Asian Elephants more than twenty times. I make this comparison to emphasize the changed nature of the world in which we live. During the last five decades most of Earth's large terrestrial wild animals, unable to hide, have been killed by humans or starved to death as a result of competition for their food and shelter in habitats drastically reduced due to human activity. Recent surveys found that over one hundred thousand African Elephants were killed betwen 2010 and 2012, mainly for their teeth. Asia's wild tiger population has been reduced to just 3,200 animals. However, the most shocking number refers to our own species: Humans and their domestic animals now make up more than 90 percent of all Earth's terrestrial vertebrate biomass (by weight). Our feelings for other species are often reinforced by empathy. In the zoo, where animal relationships are more real and immediate and there is a chance of direct personal observation, opportunities for empathy abound. Can we find more powerful ways to use empathy to create responsive wildlife support? The urgency to address the need for active care and protection of wildlife has now crossed the unforgiving line between desirable and desperate. 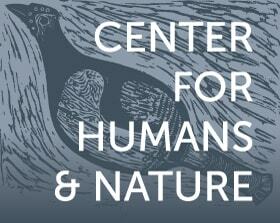 For many species, as E. O. Wilson observes in his new book Half Earth, this is an "end game." Unlike nature, but like most of their visitors, zoos are overwhelmingly metropolitan. Can they help direct urbanites to care for and preserve nature and its wildlife before it is too late? Will they? The character and mission of zoos and aquariums has enlarged from "living museum" for public education and recreation to conservation center focused on the acute challenges of species preservation. However, present zoos and aquariums are not designed to serve as conservation centers. To express it garishly, it is as though the Louvre were called upon not just to exhibit works of art but also to select the artists, breed them, manage their populations, and do so while these “artists” were being shot, skinned, starved, or eaten outside of the museum! Meanwhile, urban moms and dads, mostly unsuspecting, take their children to the zoo for a pleasant visit to see remarkable creatures more or less related to themselves but from a newly altered planet, many living on borrowed time and most ultimately dependent upon people not yet born. Globally, more than 700 million people visited zoos and aquariums last year while millions more sought glimpses of wildlife in splendid but increasingly circumscribed parks and reserves. In the US, professionally operated zoological institutions, such as the members of the Association of Zoos and Aquariums (AZA), received about 180 million visitors in 2015 (to put that in perspective, major league baseball attendance that same year was 73.8 million). Zoos have become the principal places where people experience live wildlife, and they have developed not only high levels of animal care but also the ability to breed the majority of terrestrial vertebrates. However, they have almost no place to put these newly born wild animals. All the zoo animal spaces in the world would fit within New York's Borough of Brooklyn. Consequently, conservation propagation must be selective, and sometimes responsive to emergencies in nature, such as the recent successes with condors and Whooping Cranes, but also with Tasmanian Devils, Mongolian Wild Horses, rare tortoises, Arabian Oryx, Crocodilians, Hellbenders, and rare frogs who represent a small but growing list of dependent creatures. Few zoo-goers are likely to worry deeply about the preservation of their world's faltering vitality or the shifting role of zoos and aquariums. But zoos have shown that their wonderful creatures and stories can encourage care for nature beyond zoo borders. Many excellent examples exist: The 1999 Congo Gorilla exhibit at the Bronx Zoo charges admission but asks zoo-goers to vote their fee to one of several African conservation programs offering ways to help save gorillas, Okapis, Mandrills, and many more. So far this exhibit has produced over $14 million for wildlife preservation. Similar examples have sprung up throughout the zoo world from Boise, Idaho, where a general conservation fee is charged to visitors, to Zurich, Switzerland, where their Masoala Madagascar exhibit gathers funds for the protection of Madagascar’s endangered species. In addition to these individual exhibit-based ways of furthering conservation, a collaborative AZA program has collected $160 million for wildlife conservation from member institutions. The aim of this program is to make "a visit to the zoo an act of wildlife conservation" as well as enjoyable learning. Although zoos have little space, they can have a great reach. Every zoo must try to become a lighthouse for wildlife conservation. But let us not delude ourselves about the perilous state of wildlife today. Due to the shrunken, fragmented environments we have left to wildlife, most species of large animals (weighing more than 10 kg) will eventually require some level of zoo intervention, like curatorial or veterinary care, to endure as has been the case with Bison, Whooping Cranes, Peregrines, and California Condors. The preservation of undeveloped lands, natural habitat, and the adoption of protected parks and reserves are the only ways we can offer the majority of wild creatures a chance to persist. Thus far, we have set aside a mere 15 percent of Earth's land and 3 percent of the sea as habitat for these remarkable creatures. Whether zoo-goers know it or not, preservation of habitat is now the most important mission of the twenty-first century zoo. 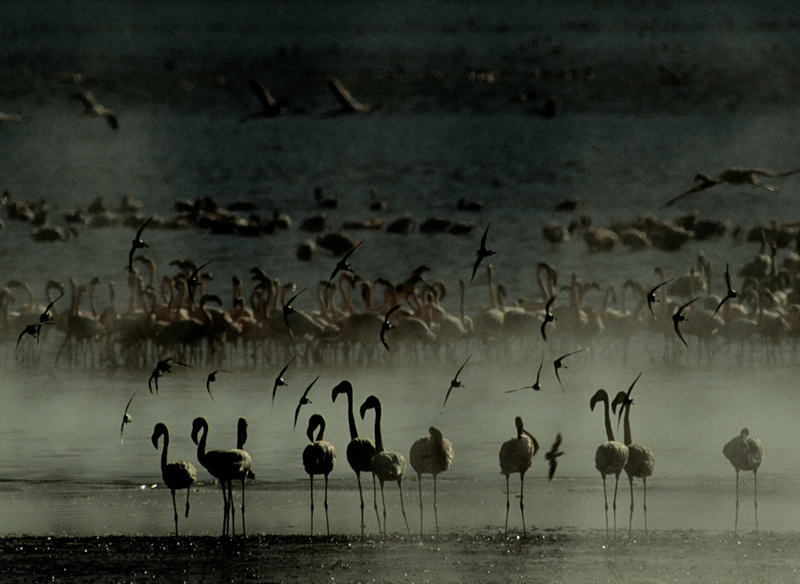 "Lesser Flamingos, Lake Baringo, Kenya" by William Conway, Wildlife Conservation Society. 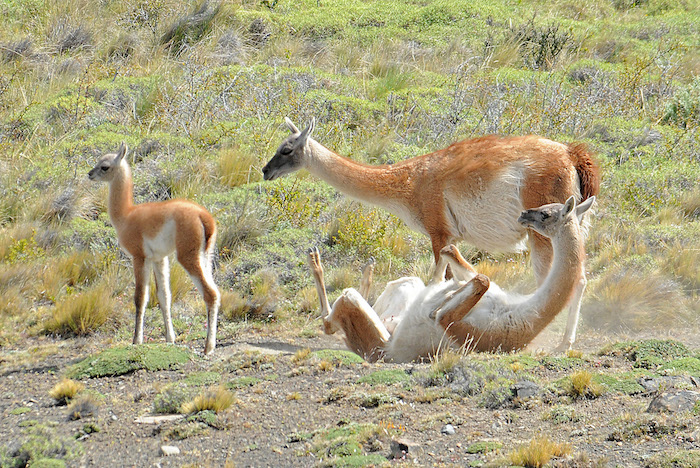 "Guanacos, Patagonia" by William Conway, Wildlife Conservation Society. William Conway is a senior conservationist with the Wildlife Conservation Society in New York. He is WCS's former president, general director, Bronx Zoo director and curator of ornithogy. Conway has worked extensively overseas and helped initiate new wildlife reserves in several nations.